The funeral procession of burglar Henry Vincent will ‘pass by the house’ he’d allegedly broken into, according to reports. Vincent, a ‘career burglar’, was found by paramedics collapsed in the road outside the house in Hither Green, South East London, ‘covered in blood’. He was rushed to hospital but pronounced dead at 3.37am. Osborn-Brooks is believed to have confronted two men who’d illegally entered his home on Wednesday, April 4. 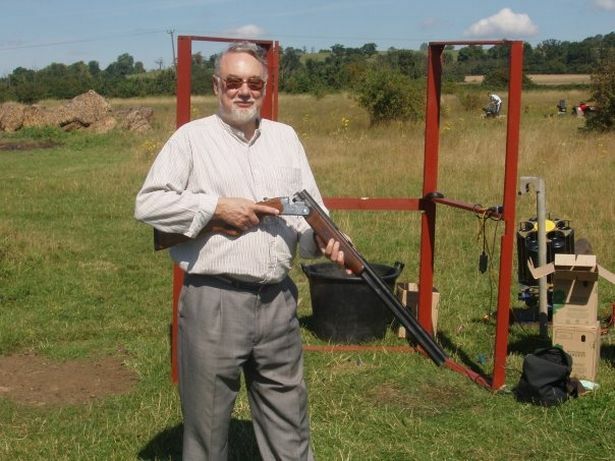 The 78-year-old, who hasn’t returned to his home, was arrested and questioned on suspicion of murder but was released and won’t face any further action. 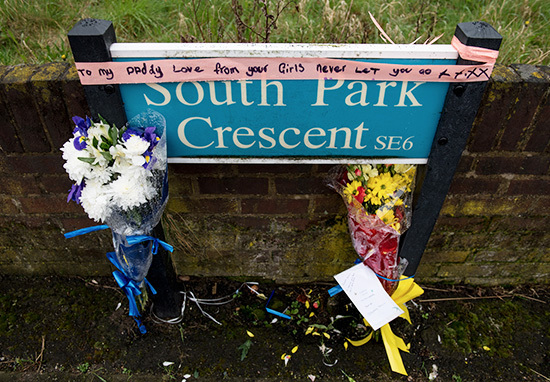 Following Vincent’s death, dozens of tributes were left, attached on a nearby fence on the Hither Green property by his friends and family. 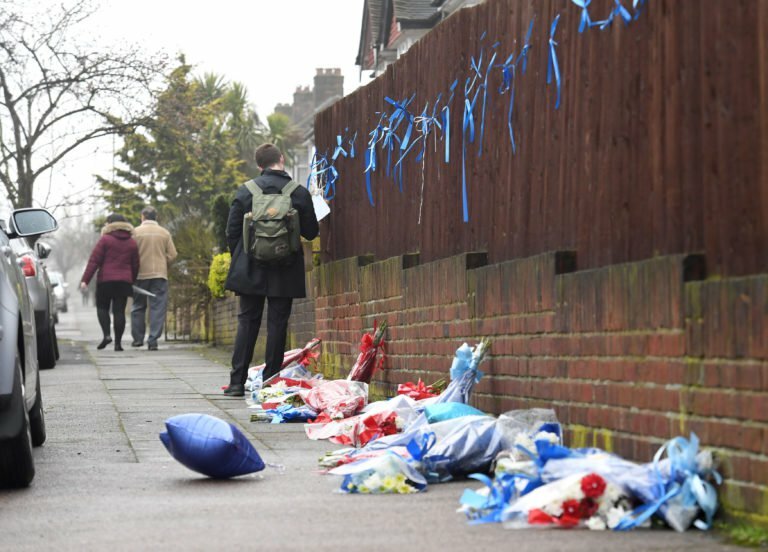 These have been taken down by members of the public who deemed the tributes near Osborn-Brooks’ home as ‘disrespectful’, but family keep returning to put them back up. Among the flowers were notes containing messages such as ‘you’ll be missed and ‘I love you’. Sorry dad that I wasn’t with you and tell you that everything was going to be alright, you must have been frightened by yourself. I’ll stand up for you dad, I won’t let you down ‘cos I know you wouldn’t let me down. 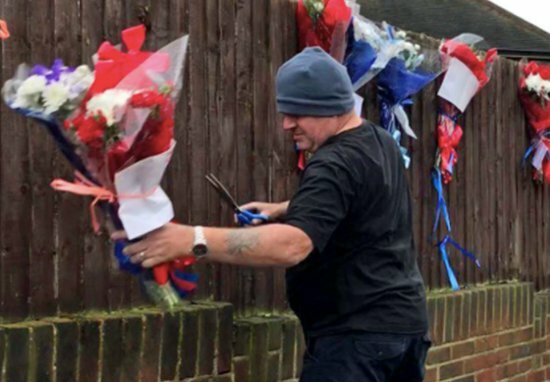 A man by the name of Cecil Coley was so angered by the tributes being left so close to the home of Osborn-Brooks, he drove to the street, removed the ‘shrine’ and took the flowers to a local graveyard. When I read online that the scene of crime where Henry Vincent died happened to be the same road as where Richard Osborn-Brooks lived, and the Vincent family and friends had been placing flowers for memorial, I found it disrespectful towards law abiding good samaritans, so I just decided to go there myself and see it. The thought of removing flowers came later. A source ‘close to Vincent’s family’ told The Sun they’re planning to spend £100,000 on the funeral – and they are planning on taking the procession ‘right past the house’. It’s supposed to be a message to locals and the guy who killed him that gypsies are not to be messed with. Vincent’s spent his life ripping off the elderly yet his funeral’s designed to make you think he was some kind of gypsy God. They’re planning to spend £50,000 just on flowers. There will be limousines and ornate horse-drawn carriages. According to reports, Vincent is due to be buried close to his family’s site in Orpington, Kent.